It’s the holidays, and if you’re like me you’re desperate for some salad. To be clear – this is a salad I make year-round, but there’s something about the apple, and the nuts, and the tangy cheddar that just works so perfectly with winter dishes. I’m a let’s-put-berries-in-salad kind of person, so when the berries start to look a bit sad at the supermarket, I turn to this. The Rebar cookbook that this salad is from is fantastic. I don’t recall when I first came to own this cookbook, but I definitely remember having it when I lived in northern Canada. I’ve made many recipes from here, and they are different and delicious all at the same time. Things like curried chickpea soup and chocolate zucchini cupcakes. When I made our wedding cake, it was the carrot cake with white chocolate-cream cheese icing from this book. When I was vegetarian, I turned to this cookbook, and now that I’m not I still keep coming back. Truth be told, I’ve only ever been to the real Rebar restaurant, in lovely Victoria BC, once. And let’s just say I wasn’t feeling my best. I was in town for work, and my girlfriend Gillian and I wanted to check out Rebar for brunch. The most adventurous thing I could muster up eating was their oatmeal – which was wonderful – but I’m dying to go back for something more substantial. I really, really like using plain Greek yoghurt in salad dressings. It adds creaminess without being too heavy. 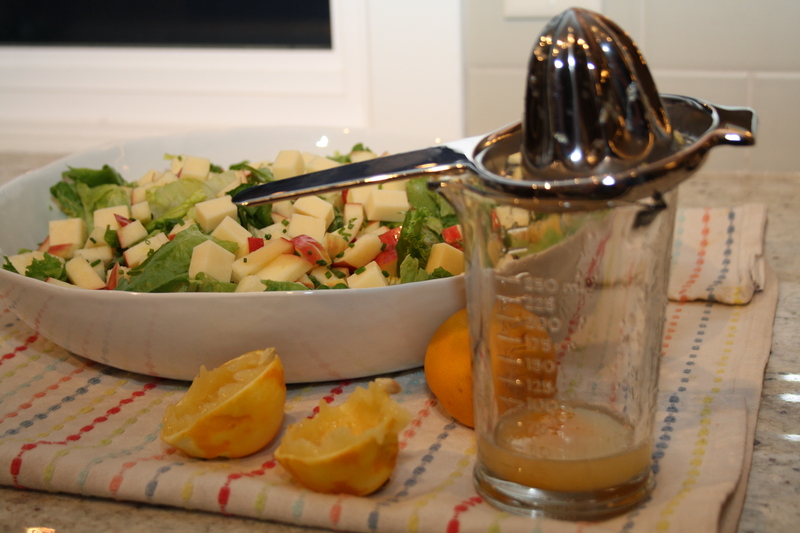 The lemon and honey can be adjusted to your taste, and balances the cheese and spiced nuts beautifully. 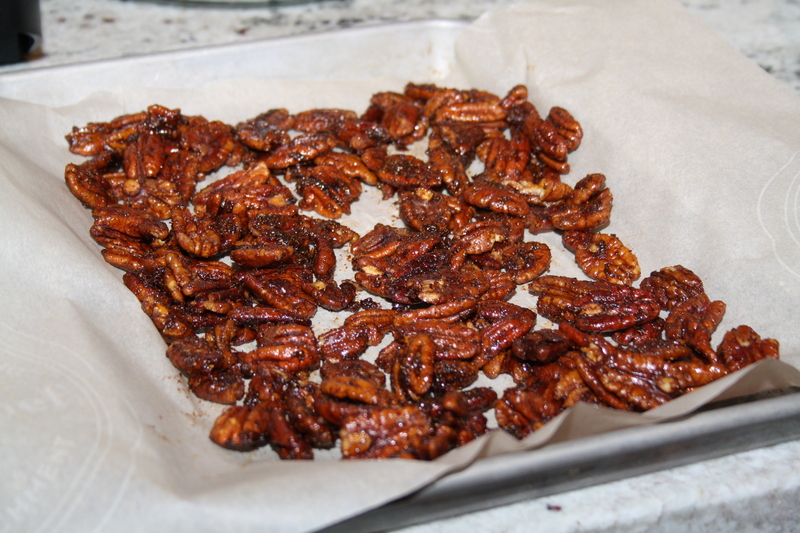 Speaking of nuts, you can totally use store-bought spiced pecans or almonds. I’m very controlling so I like making my own, but this easy dish will be even easier if you buy them pre-made. If you do make your own, they’ll keep in an airtight container for a few days, if you don’t snack them away first. 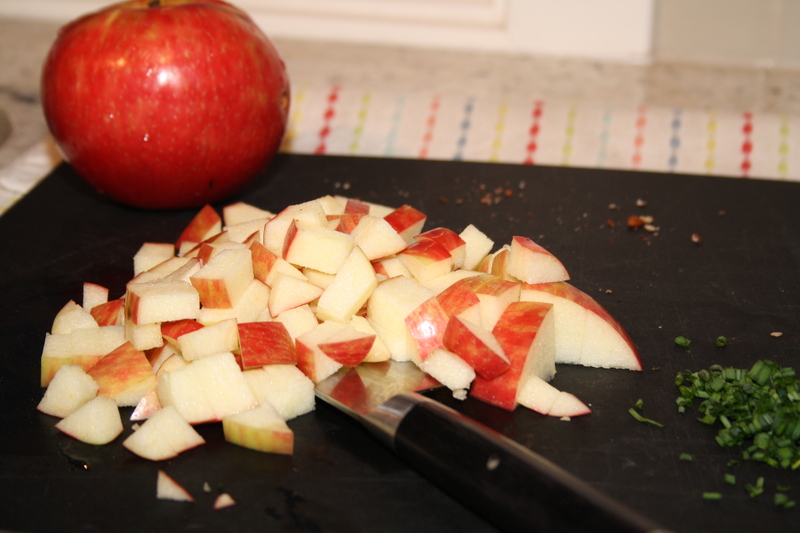 The end result is sweet and spicy, crunchy from the apples, with great bite from the cheddar and the dressing. You don’t want to do something like substitute a mild or medium cheddar in place of the aged. And you definitely don’t want to do something like marbled cheese – trust me. Dice your cheese in small chunks, and each time you get a piece with the nuts or the apple or the yoghurt dressing you’ll be glad you have the sharp, aged cheddar. I like this salad on the side with something barbecued in the summer, or to add some lightness and crunch to something winter-y. For this meal, Marcus busted out some gorgeous pulled pork, I threw in this salad and it was happy days. I think a grilled protein, like chicken or salmon, would be really nice on top too. Really, you can’t go wrong. 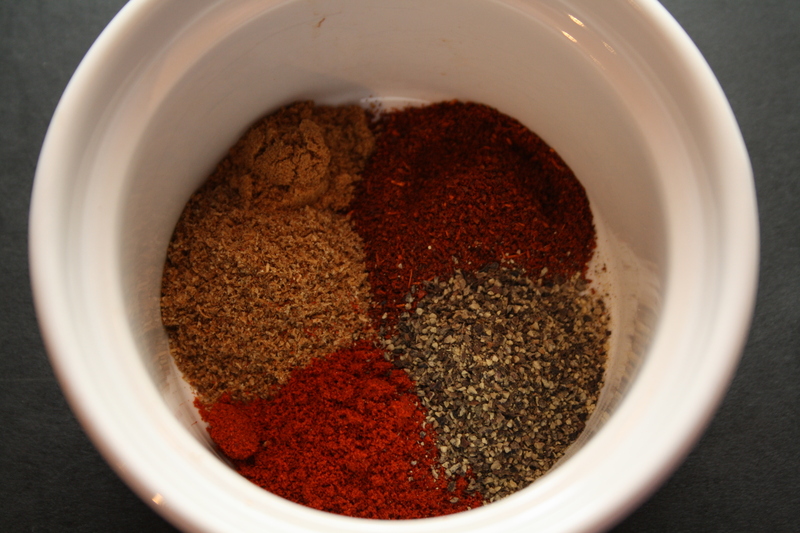 In a small bowl, stir together the chile powder, coriander, paprika, black pepper, and cayenne. Set aside. Melt butter, over medium-low heat, in a frying pan until it becomes fragrant and starts to foam. 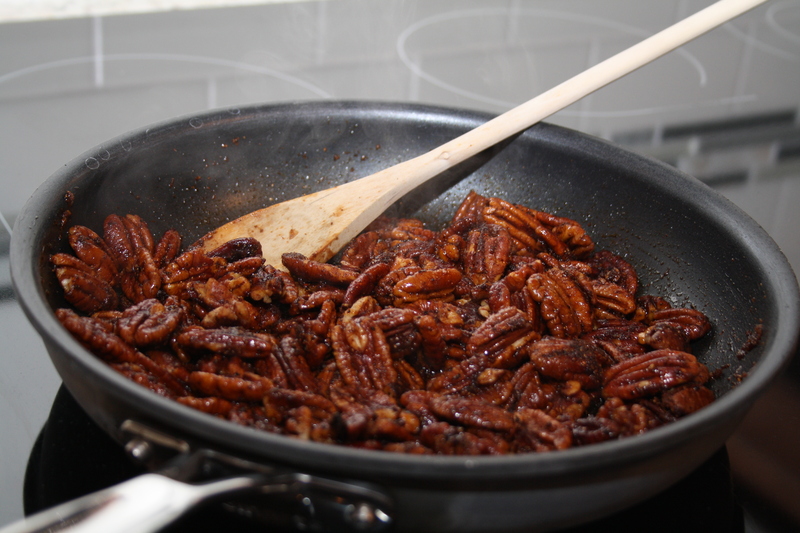 Pour in the pecans and stir in the butter to coat. Toast in the pan for 5 minutes, then stir in brown sugar until melted. Add your spice mixture and stir well. Add the apple cider vinegar and stir until the liquid evaporates. 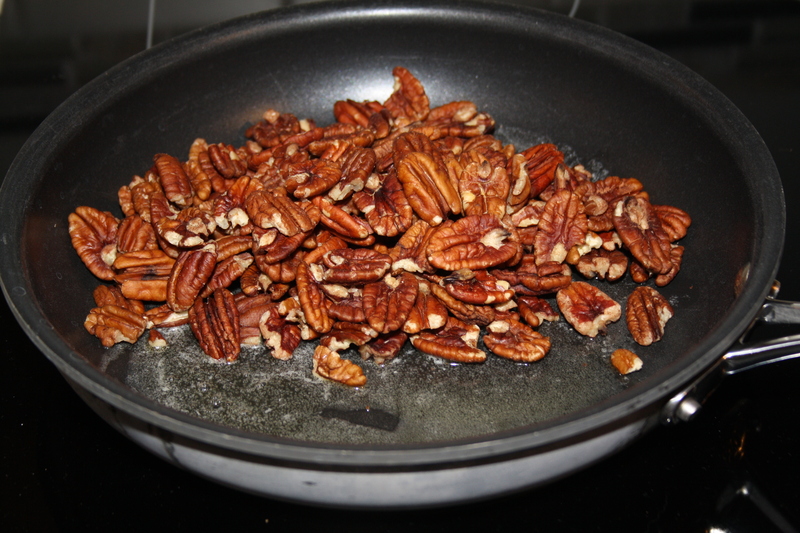 Line a sheet pan with parchment, then transfer the pecans to the pan and spread out to a single layer. Roast in the oven for 5-10 minutes, checking every few minutes to ensure they’re not burning. 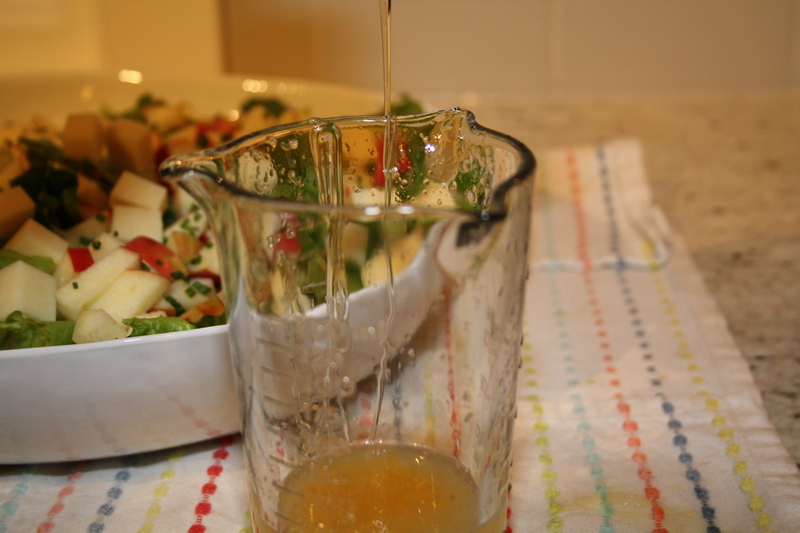 Combine the lemon zest, juice, yoghurt, honey, and salt in a measuring glass or small dish. Refrigerate until ready to eat. 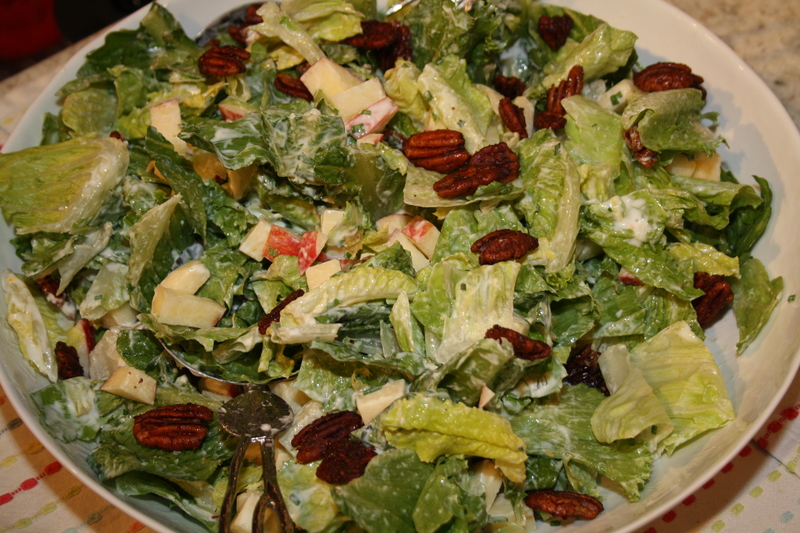 In a large bowl, add the romaine, apples, and cheddar. 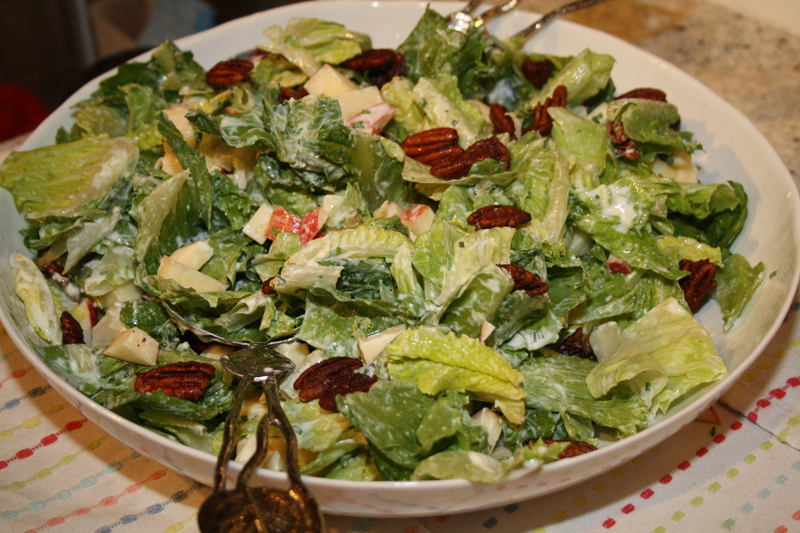 Dress with yoghurt dressing, and garnish with pecans and chives.